DESCRIPTION: They weigh 0.4-0.5 oz. and have a wingspan of 8.3-9.1 in. 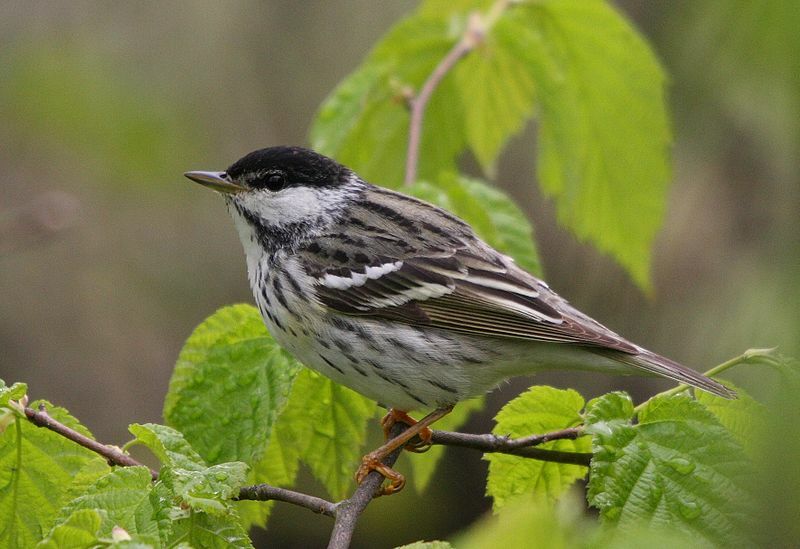 HABITAT: Blackpoll Warblers live in coniferous forests, such as the boreal forest of Canada, and deciduous forests. DIET: Their diet consists of insects, arachnids, and fruits. NOTES: Blackpoll Warblers have a very high-pitched call that flickers while it says “seet-seet-seet-seet-seet.” They are protected on the US Migratory Bird list.